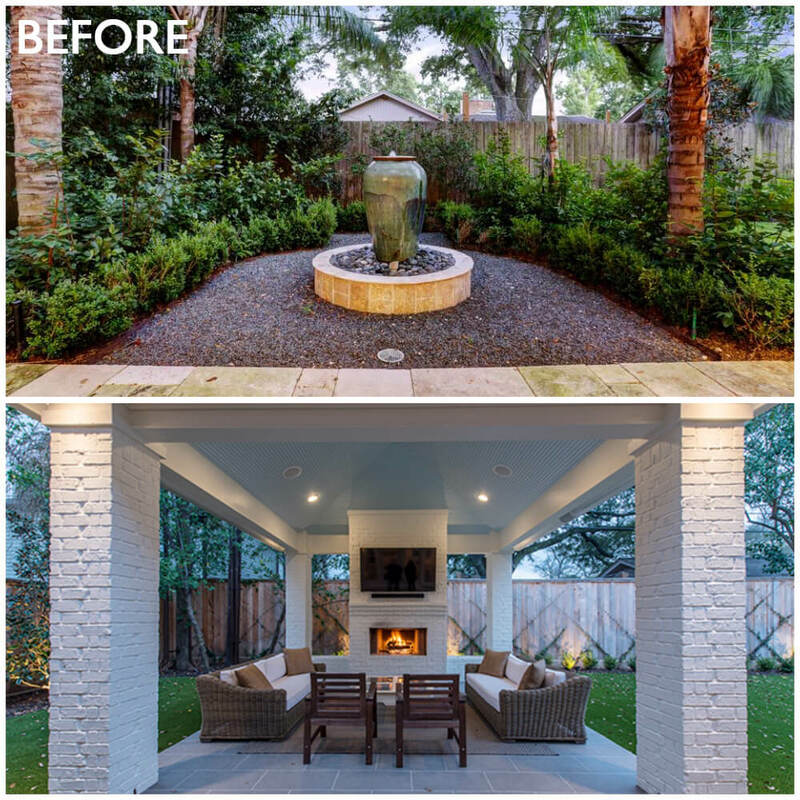 In our final reveal of this major remodel project, we’re talking all about the outdoors. 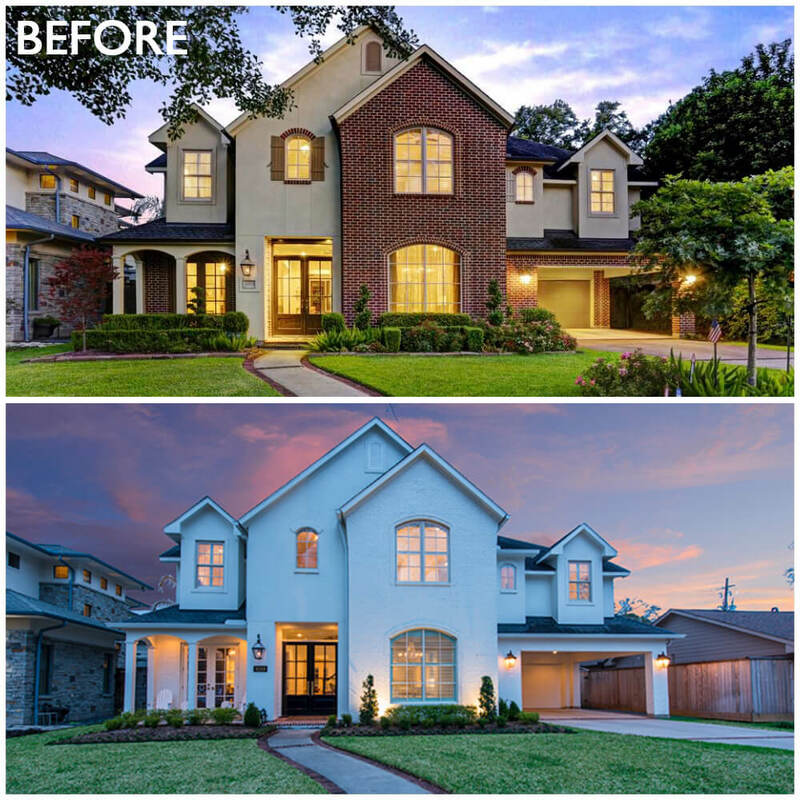 With spring weather in full swing, you’ll be daydreaming about this stunning exterior transformation for days. 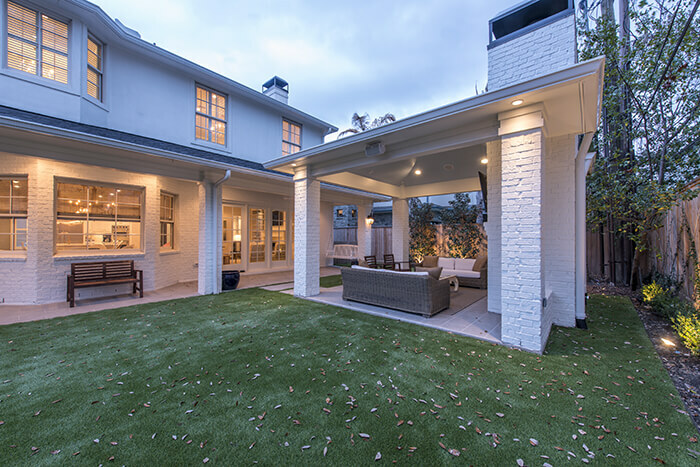 Without altering the architecture of the existing home, we modernized the facade with a fresh coat of paint. We removed the shutters and opted for a clean transitional aesthetic. The doors remained the same; however, they also received new paint. 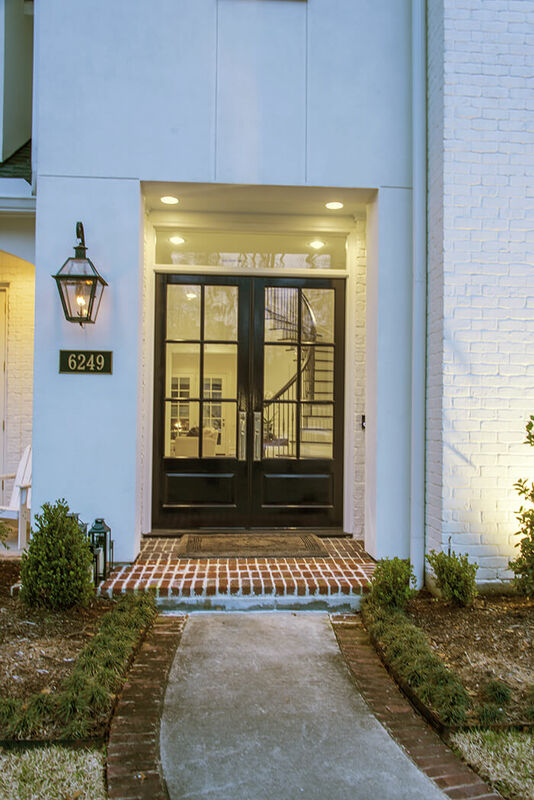 We used a high gloss black paint on the front door and white for the french doors off the study and the garage door. 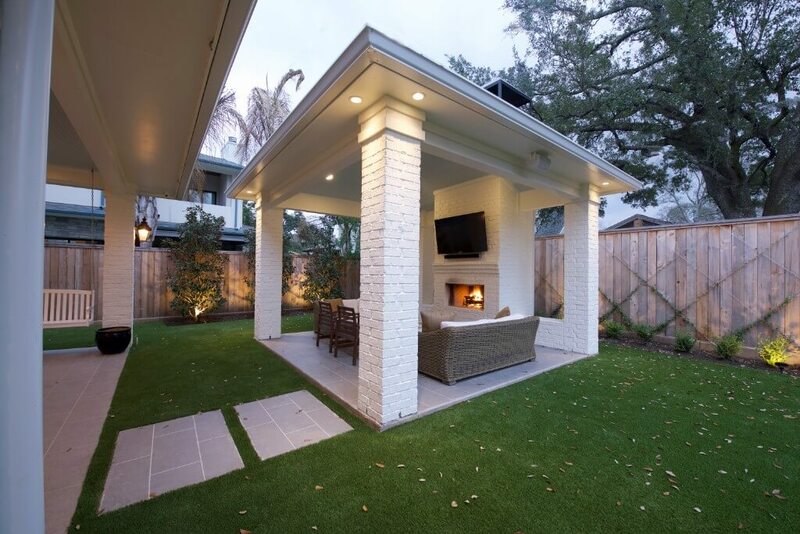 The backyard may have had one of the largest transformations as we torn out all the existing landscaping and water fountain to make way for all new turf, landscaping and new covered entertaining area complete with a TV, surround sound, wood-burning fireplace and ample seating. The Carolina blue ceiling paint brings a southern elegance to this flexible living space. 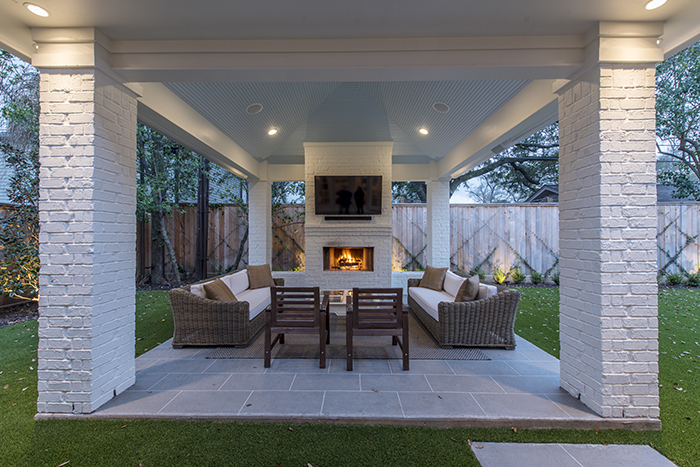 Did you miss Part 1, Part 2 and Part 3 of this whole-home remodel? 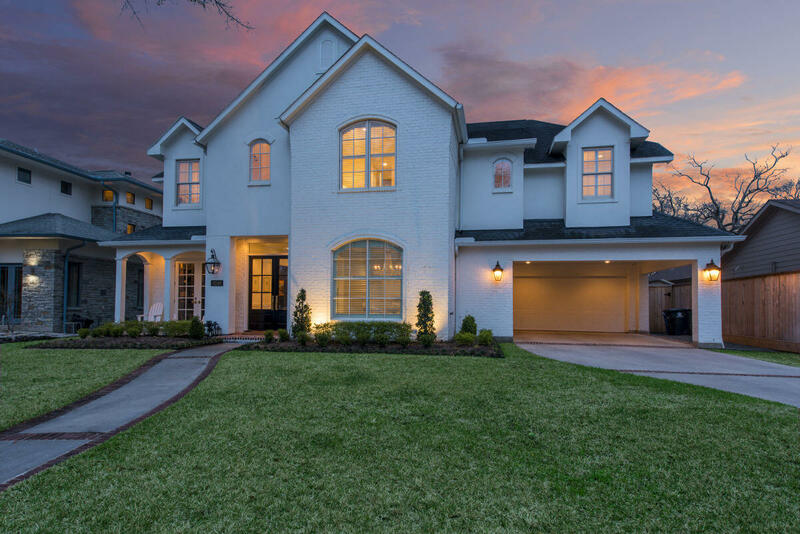 Click through to see the main living spaces, bedrooms and bathrooms!